Do you work in media communications and marketing? At a university? 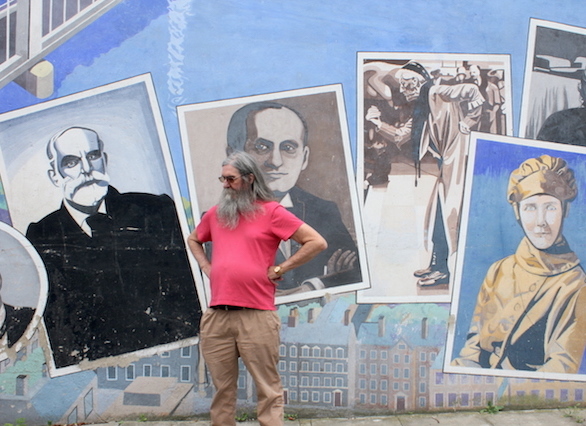 In the third sector, at an NGO or charity? For an established business or a rapidly growing start-up? A local council? Or a publishers? If you have a group of people who would like to learn to produce beautiful in house video, we can travel to you and teach essential video production or video editing skills in two days. We bring all our own equipment, so all you need to supply is a suitable space. Please see our website for more information or email training@spectacle.co.uk for a quote. “We work for a local authority, and want to promote our services, activities and places to visit in the most accessible and fun way, to a wide range of people. I liked the flexibility that Spectacle offered; the training was completely bespoke and reactive to our needs, but still covered everything we wanted to learn. The team had varying levels of experience, and all felt it was a really well spent few days. Everyone is very keen to get started! Many charities, NGOs and community groups find online video an indispensible way to promote their work, to raise awareness, to fundraise or to campaign. But outsourcing video projects to production crews is extremely expensive, and may not produce the best results. We can train Communications Officers and Marketing Teams to produce high-quality video in-house, instead. 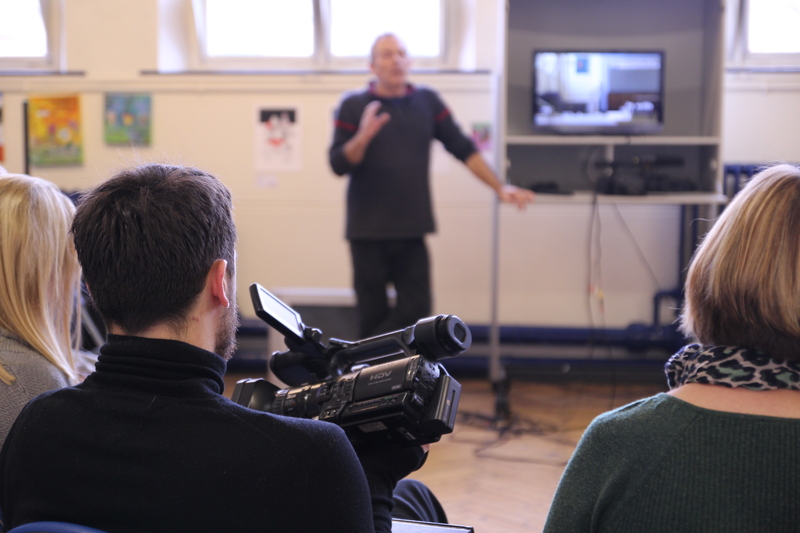 We offer an affordable three day course or bespoke one-to-one training to help existing staff learn to produce video in-house, on a small budget. Not only is training existing staff or volunteers in the techniques of high quality digital film making far more cost effective than hiring a film crew, but the results can be better. When people working on the ground record their own activities and events, capture client testimonials and document their work you can often get better results than with a hired film crew of strangers. Where your staff have built relationships and trust with your clients they can film more relaxed and interpersonal moments – moments that might elude an external film crew, making for a more direct and powerful film. If you work in remote locations or developing countries, training your own staff to record their work could be particularly beneficial, potentially saving you a lot of money and ensuring your organisation achieves an end result which accurately reflects the nature of the project. Our Video Marketing Course always receives oustanding feedback. Spectacle has recently been asked to provide training in digital video production and editing to the communications teams at a number of borough councils. As well as sessions using traditional video equipment, we delivered training on producing high quality results using technology most people already have to hand: smartphones and iPhones to video, and iPads and tablets to edit. What we invariably heard during the training sessions is that local government is experiencing an increasing demand to expand into online video content to engage modern audiences. Our training can help tap into this, on a budget. After a highly successful session in Watford, we caught up with Angela Farrance, senior communications and engagement officer, to see why she had decided to organise the training, and if it was something she would recommend to other local authorities. SPECTACLE: Why did you decide to arrange video training for your team? ANGELA: We work for a local authority, and want to promote our services, activities and places to visit in the most accessible and fun way, to a wide range of people. Why did you choose Spectacle? Yes, the team had varying levels of experience, and all felt it was a really well spent few days. Everyone is very keen to get started! What part of the training did you enjoy most? The post-production was really good fun; seeing how everything comes together. Everyone really enjoyed the session on interview techniques too – really useful! What part did you find most useful? All the hints and tips for capturing good footage – and then the post-production day. How do you plan to use the training now you have completed the course? We are going to start building a library of footage from around the town; and will capture each of our events this season. Do you think other local councils could benefit from the training? Yes absolutely. Local media are increasingly looking to increase their video content online – we have found that the videos we send in are invariably used by local media outlets, and they achieve a fantastic reach on social media. Would you recommend the training? I would recommend the training, and already have to fellow comms officers in Hertfordshire. Mark made the sessions fun, accessible and everyone is really excited to get filming. Video can transform your website, it is accessible, engaging and often more convincing than text. Once you have mastered digital video production for the web you can make pitch videos, explanatory videos and promotional videos to boost your business and brand. Training existing staff to produce high quality digital video content for your website is far more cost effective than hiring an external film crew and can produce the same excellent returns. In addition to being more affordable, we believe that existing staff have the potential to advertise, demonstrate and spread the word about products and services that they thoroughly understand more effectively than outsiders. Spectacle offers a three day course specifically designed to meet the needs of small businesses, start ups, social enterprises and charities, on set dates at our premises in London, or at a time convenient to you in your office or ours if you are booking for a group. If you need additional or different training, we can design and run a training course specifically for you. 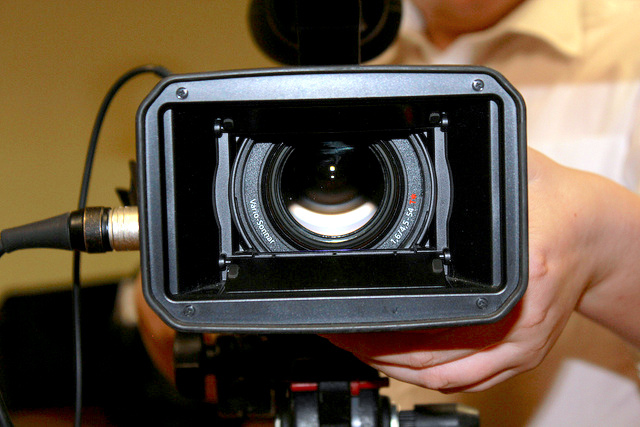 Using video on your website could improve your brand. Research by Axonn Media suggests that seven in ten people view brands more positively after watching video content about them. Hub TV suggest that embedding video on your homepage could increase your click through rate by 30%. According to research by Invodo, people will stay on a website longer if it has a video. Three out of five consumers will invest two minutes in a video that explains a product they are thinking of purchasing whilst 37% will watch over three minutes. Videos can boost SEO. According to research by Forrester, an indexed video may have up to 50 times more chance of ranking on the first page of a google search than a page of text. Video better suits smartphone viewing – research shows that on mobile devices people spend less time on average browsing a website, video can be quicker to absorb than text. According to eMarketer more than 50% of marketing professionals say that video content has the best return on investment (ROI). Videos are easy to share on social media. This means they can go viral.